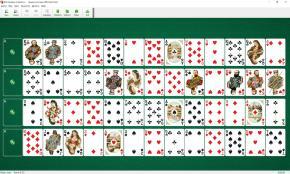 Spaces And Aces Solitaire uses one deck (52 cards). All cards are dealt face up in 4 rows of 13 cards each (not overlapped). Aces are taken from their dealt positions and placed at the left of each row, creating four gaps. 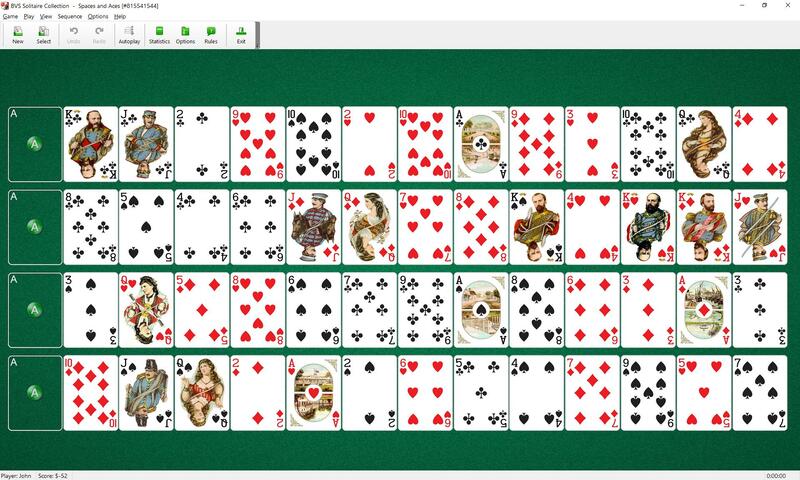 To rearrange the cards in the rows to get suit sequence (running from Aces to Kings) on each row. Each gap can be filled with a card of the same suit as the card of its left and higher in rank. A gap to the right of a King cannot be filled. You can fill gaps until all of them are blocked by Kings.